Goa is a popular holiday destination for Indian and international tourists. The magnificent scenic beauty of Goa beaches, the architectural splendor of the churches, Old Portuguese houses, some interesting temples and a laid-back atmosphere makes Goa a popular holiday destination. All these things made me visit Goa few times in last one & half decade, to be precise 4 times. I still remember my first trip with friends, we wanted to visit maximum places and at the same time, we wanted to spend a lot of time relaxing by the beaches during our 5 days stay. I wish I got a ready reference of things to do in Goa as a first timer. Now when I look back then I laugh at our enthusiasm to see all in 5 days. I am sure most of the people have the urge to explore maximum when they travel to a popular destination like Goa. After visiting few times, I know that I have not seen many places because there is so much to explore in the Goa. I think the first time traveler should spend minimum 5 days in Goa or 7 days are even better to get the feel of the place. There is always some confusion what to see and not to see, based on my personal experiences I recommend followings. The first day of your trip should be dedicated to the beaches. In most cases, you will arrive around afternoon and have around half a day. I recommend that you should stay at Miramar beach or Dona Paula Jetty. There are some good hotels in this area, one of my favorites is Cidade De Goa. They have their own beach and this makes it a good place to stay. Spend some time at the beach in the resort to unwind before going to Dona Paula jetty, which is 3 km from Miramar beach. It was named after Dona Paula (Original name Paula Amaral Antonio de Souto Maior), she was a woman of charity and worked towards the betterment of the villagers. After her death in 1682, the villagers name their village after her. This is one of the most popular tourist spots in Goa. 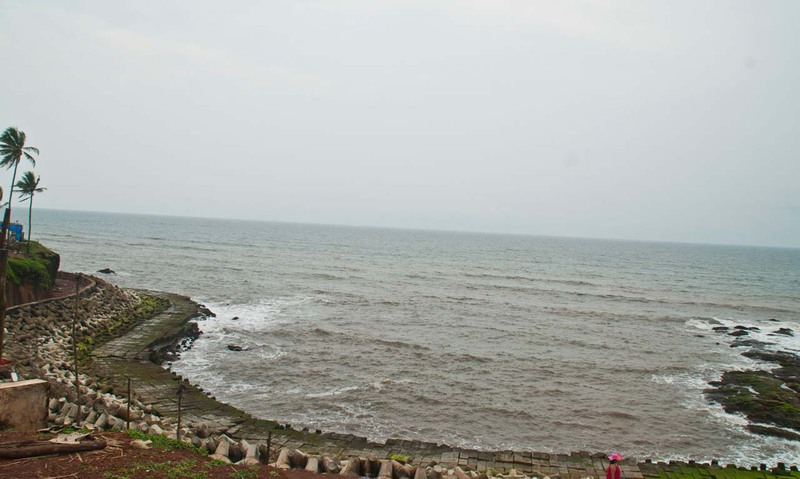 The whitewashed statue of Dona Paula perched on the rocks at the end of the jetty is a popular attraction. The view from the top of the rock is beautiful and gives an idea of places around it. 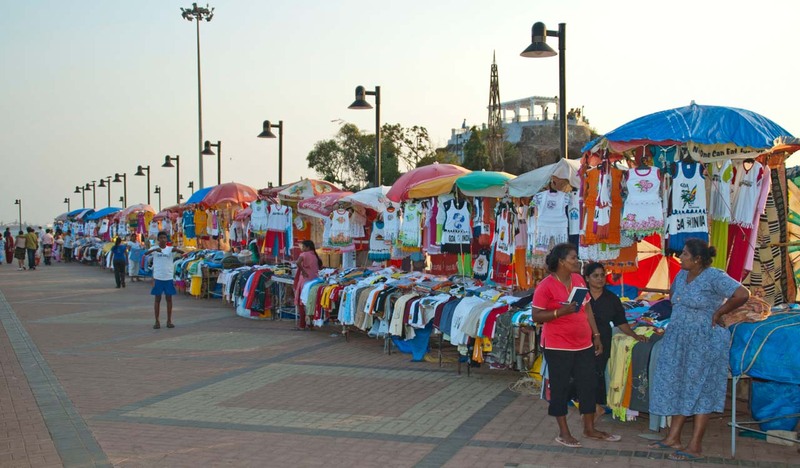 Other popular things to do at Dona Paula are fishing, shopping at the flea market on road and water sports. This place always buzzes with the people and many of the Indian movies were picturized here and thus making it more popular among Indian tourists. 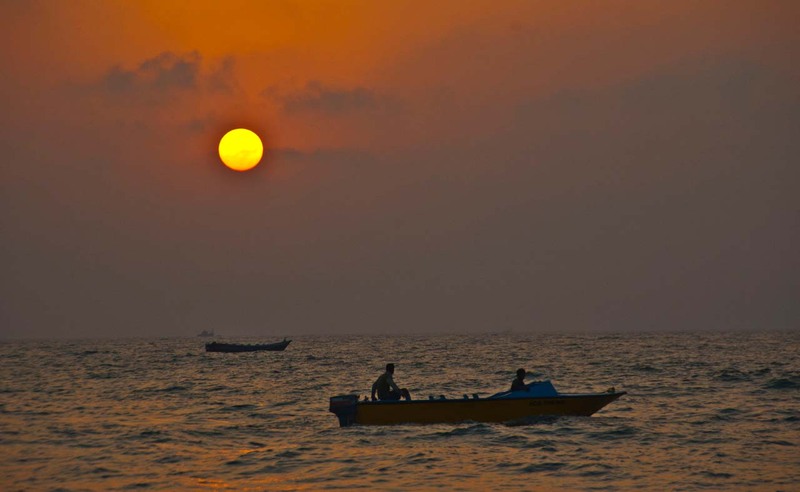 On a good day, it’s one of the places in Goa to enjoy the sunset in the sea. For a first timer, an evening boat Cruise is an interesting activity to spend the evening. The cruise starts from Panaji jetty at Mandovi River and goes to the point where the Mandovi River meets the sea near Miramar beach. During this one-hour cruise, they perform some cultural programmes in which they mainly focus on traditional dance forms associated with different cultures of Goa. In between dance performances, they have some interactive dance sessions in which they involve couples and children. It is a one-time thing to do in Goa. I recommend dinner in Mom’s Kitchen that is at Panaji Miramar beach road. In this restaurant, they serve authentic Goan dishes with poi bread and rice. Keep the second day of exploring the unique history and rich culture of Goa. 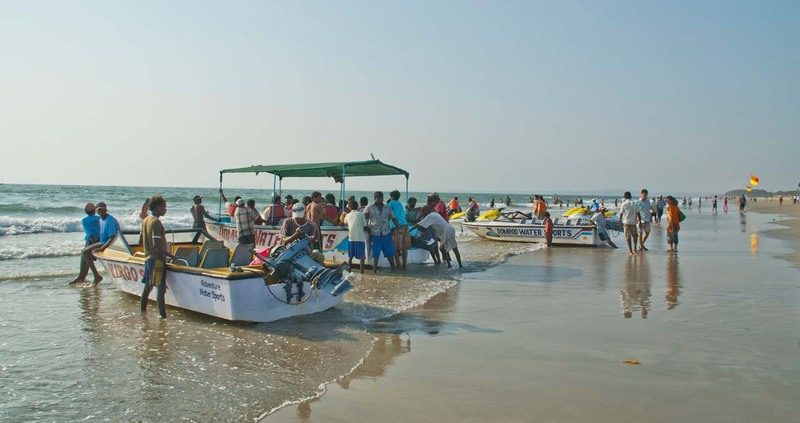 But before you start exploring Goa let’s talk about the transport in Goa. There are no radio or app-based cab services in Goa. The most economical way to travel in Goa is renting a two-wheeler, if you want comfort or more then 2 people then rent a car, these two options are easily available all over Goa. In case you are uncomfortable navigating with the help of Google map then hire a cab but usually, cab’s charges are high. Once you have a mode to transport is decided then it becomes easy to explore Goa. 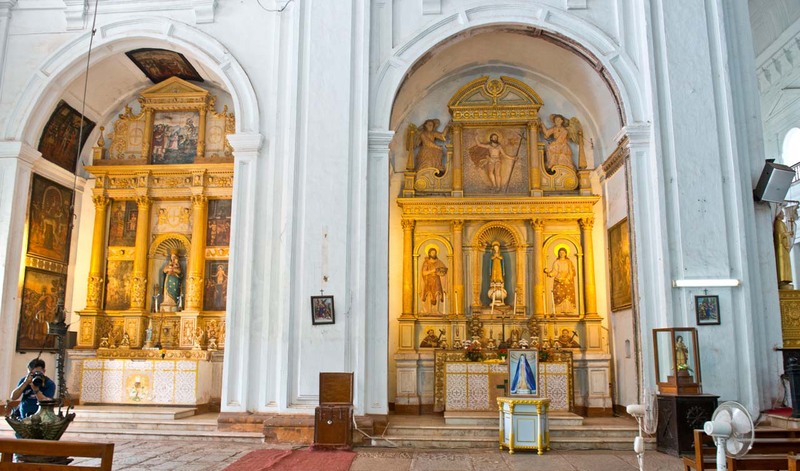 Start with the famous churches in old Goa. 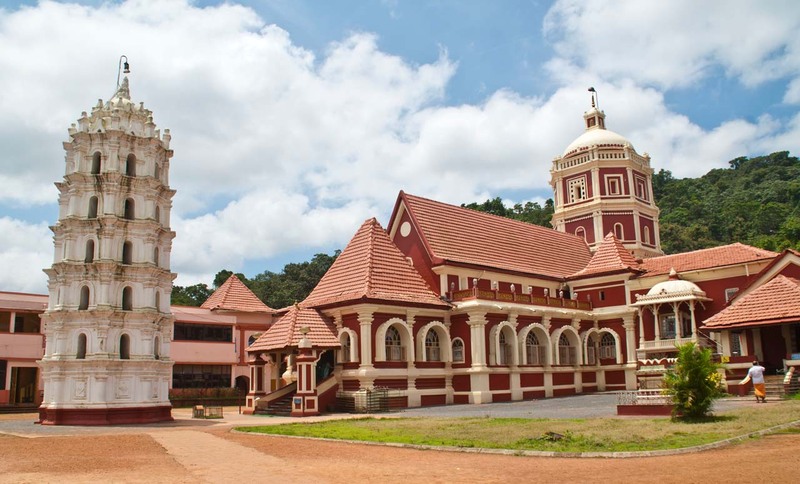 The Goan churches are the beautiful example of the Portuguese and neo-gothic architect. 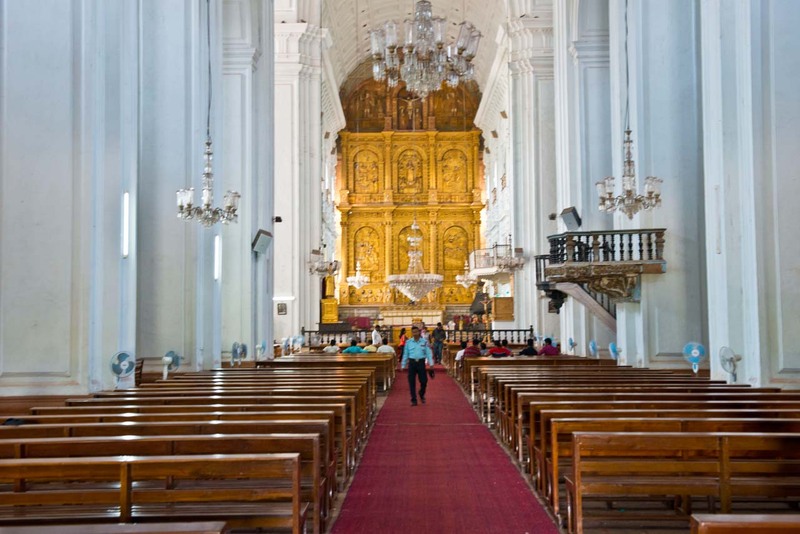 First, visit the Our Lady of Immaculate Conception church in Panaji. It’s situated at a busy intersect in Panaji’s main market. This church was built on a hillside with a distinctive zigzagging stairway. These zigzag stairway and two towers on either side of the façade make it look beautiful. The façade of this church is painted sparkling white as goes with its name immaculate. From Panaji visit Old Goa’s Basilica of Bom Jesus. 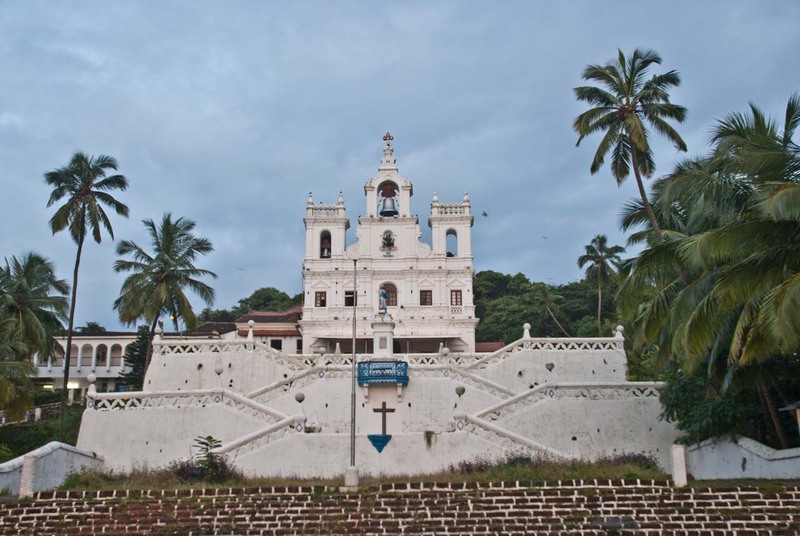 It is a UNESCO’s World Heritage Monument and one of the oldest churches in Goa as well as in India. The un-plastered exterior looks rustic as compared to the shining facades of the Se Cathedral opposite it but this Basilica is rich in architecture. 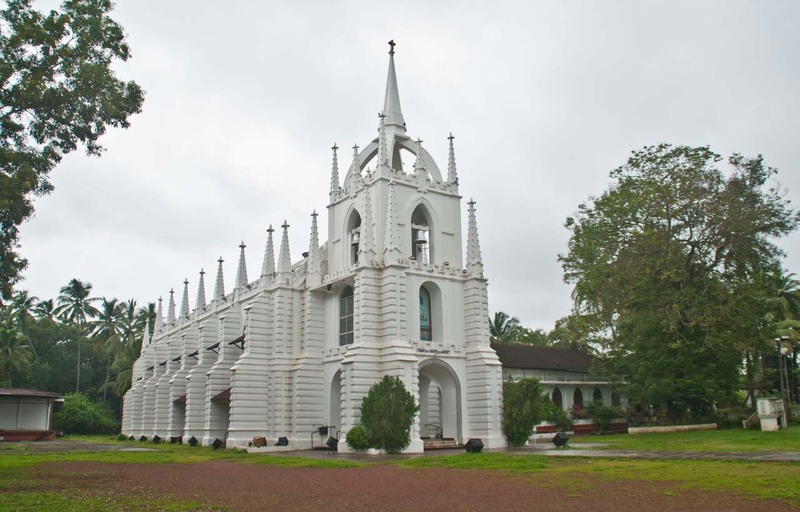 Its exterior makes it different and unique in comparison to most other churches of Goa, which are mostly white in color. 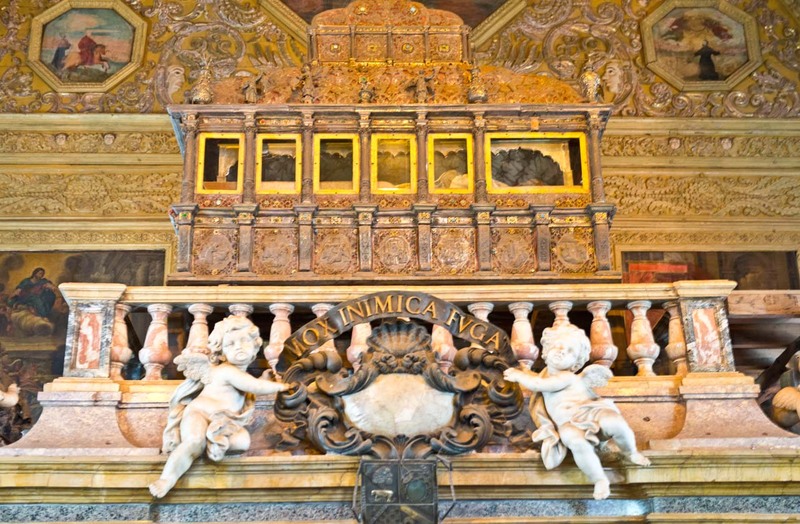 The relics of saints Francis Xavier are enshrined here and a festival is organized every 10 years when the relics are brought down for public viewing. The interior of the church is beautiful and sight to behold. Se Cathedral is across the road from Basilica of Bom Jesus. 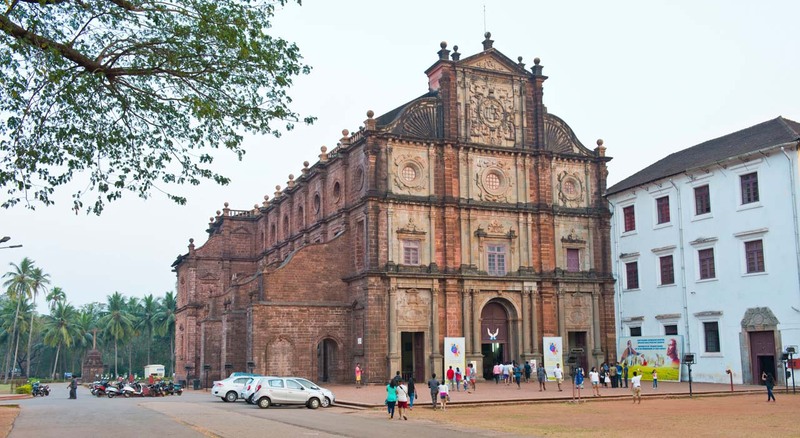 This is one of the most imposing cathedrals in Goa and seat of Patriarch of the East Indies. 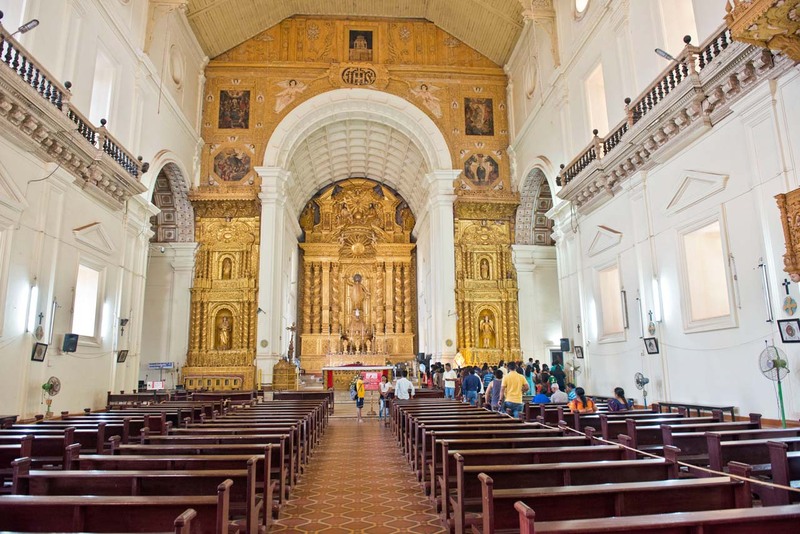 The cathedral was completed in 1619 and second oldest church in Goa. The huge gilded reredos above the main altar makes it look rich and unique in workmanship. The tower of church houses a large bell known as the Golden Bell, which is considered as biggest in India. The garden and tall trees around the church make it picture-perfect place for photography. Return to Panaji for Lunch as there are many eating joints serving different food options. If interested in doing shopping buy Cashew nuts from Zantye in Panaji. After a leisurely lunch go to Miramar beach or to the hotel to spend a relaxing evening. Miramar beach became like a Chowpati with lots of food stalls around it, earlier it used to be a quiet beach. There are some restaurants around the roundabout at Miramar beach, other then these there are food carts standing next to the beach serving street food. Miramar beach is now like a picnic spot. Most of the people visiting Goa likes to go to Casinos. The Casino Royale, Deltin Royal Casino, and Casino Pride are some of the popular casinos in Goa. 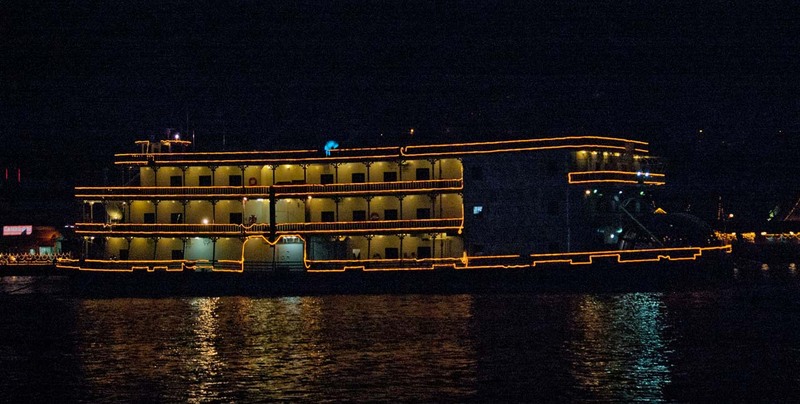 These casinos are on the ships, which are parked in the middle of Mandovi River with ticket counters at Panaji Jetty. The ticket to casino includes unlimited food and alcoholic or non-alcoholic drinks of house brands along with some token for playing. From Jetty, speedboats take the visitors to ship and since Casinos are open 24X7 so one can stay as long as they wish to play. Keep in mind that they have Dress Code, it should be Formals or Smart casuals (no flip-flops). After staying 2 days in central Goa, I advise moving to North Goa. There are plenty of good hotels in all price ranges. I personally prefer Candolim beach because it is less crowded though some people vouch for Calangute/Baga/Anjuna. Stop at Reis Magos fort and church in Bardez. 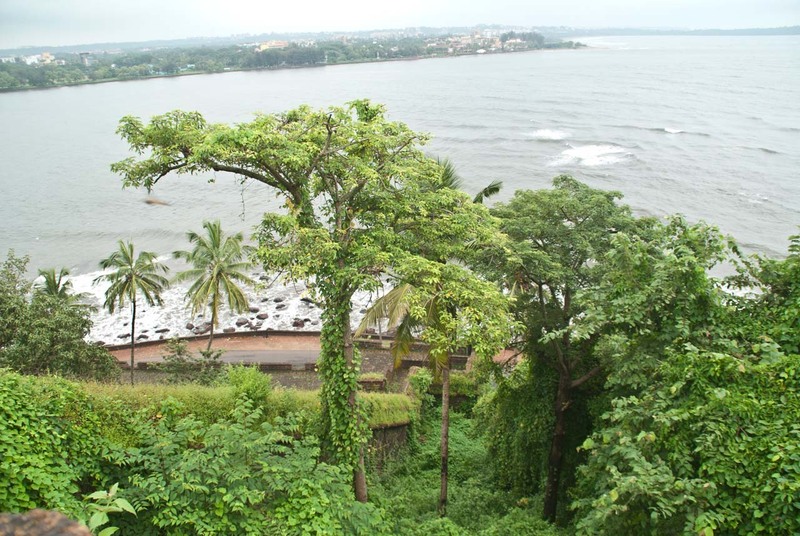 This fort was built before Fort Aguada and located on the banks of river Mandovi. This fort remained abandoned for many decades. In 2008 the restoration work started with the funds provided by the UK-based Helen Hamlyn Trust and INTACH. Now the fort is one of the must-visit places. 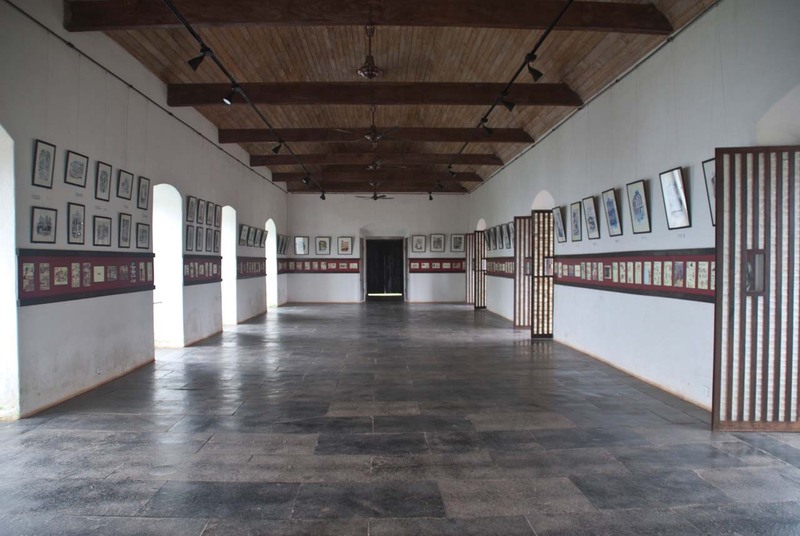 There is a gallery dedicated to Mario Miranda in the fort, where you can see his work and life history. The view from the fort is worth a visit but the camera ticket price is too high. When you are visiting Goa for the first time and like the party scene then North Goa is the place to be. There are plenty of hotels around Calangute and Baga beach but also keep in mind that these are most crowded beaches in Goa. Famous Tito’s pub is also on Calangute beach. When I traveled to Goa first time we stayed in Goa tourism’s hotel, our room’s balcony opened on the beach. Nowadays I book through online travel portals and get attractive options. I like to go to the beach, sit in the shacks by the beach, enjoy the view, swim at sea (If it is allowed by lifeguards), have fresh seafood and enjoy my drink. I still like to watch the sunset and have dinner on the beach. These are some of the things I recommend to everyone. On Calangute and Baga beach, there are many eating joints but one of favorite is Suza Lobo at Calangute beach. It is an excellent location, traditional food and live band performance every evening are some of the favorites of mine. If you are interested in the party then go to Tito’s. 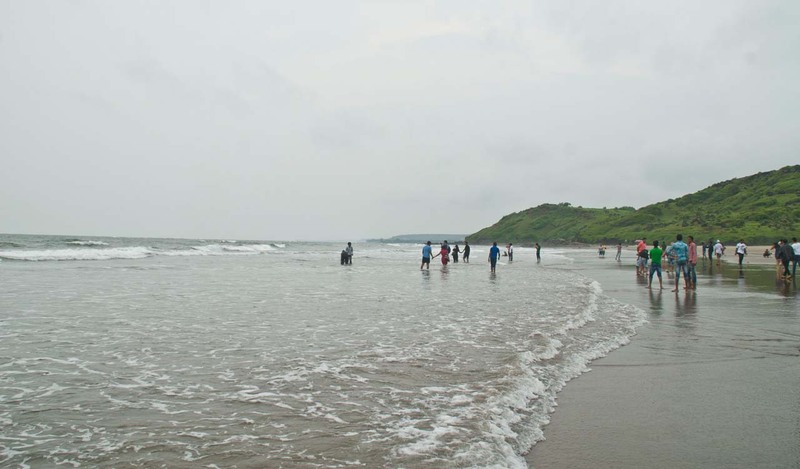 Keep this day for the beaches and explore a part of the 105 km of the Konkan coast. 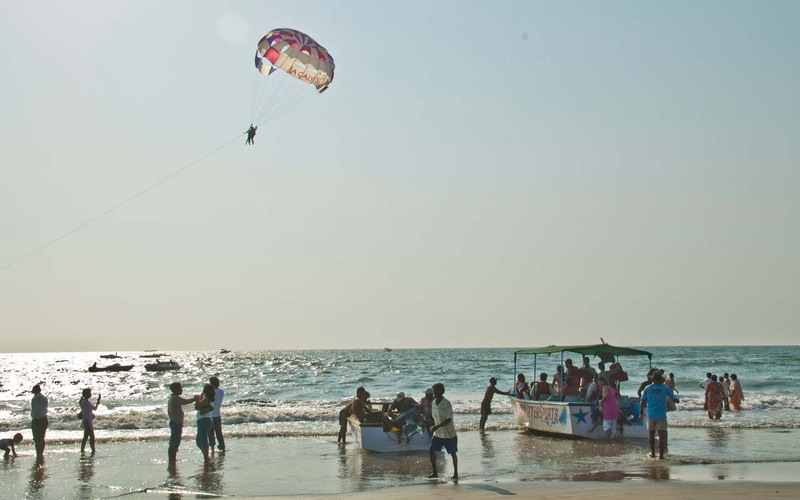 Spending time and doing nothing on the beaches is one of the must in things to do in Goa. 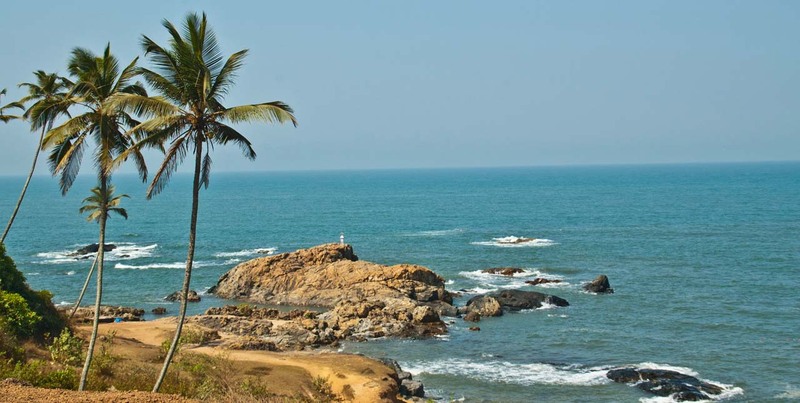 Some of the popular beaches in the northern part of Goa are Anjuna, Vagator, Ashwem and Arambol beach. 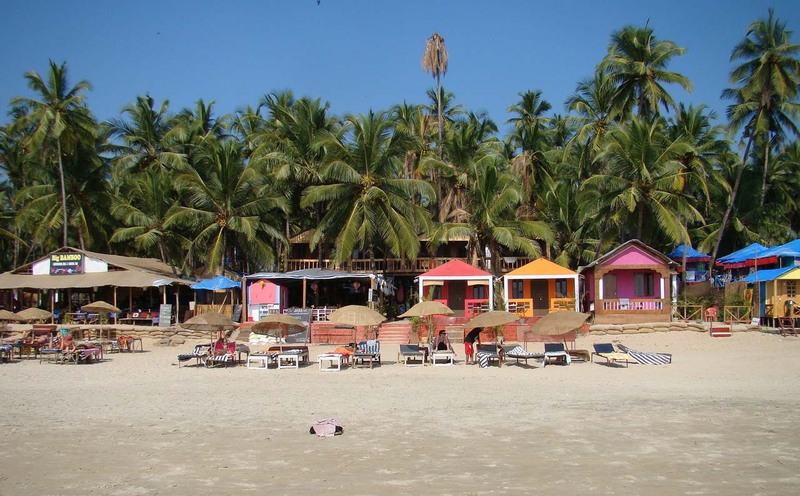 Anjuna is a rocky beach with few shacks on the cliff, its flea market is one of the most popular in Goa. There are many interesting things on sale here and for a shopping lover, it is a must visit the place. The sea here is not fit for swimming. Vagator is mostly a sandy beach located at the bottom of a hill. It is a good place to swim in the sea, as waves are not too harsh. Arambol beach is around 28 km from Candolim and is one of the most beautiful beaches in Goa. Another good thing that Arambol beach is not crowded with tourist rush. There you will mostly find the Russian tourist. There are some shacks on the beach that makes it a perfect place to relax doing nothing. 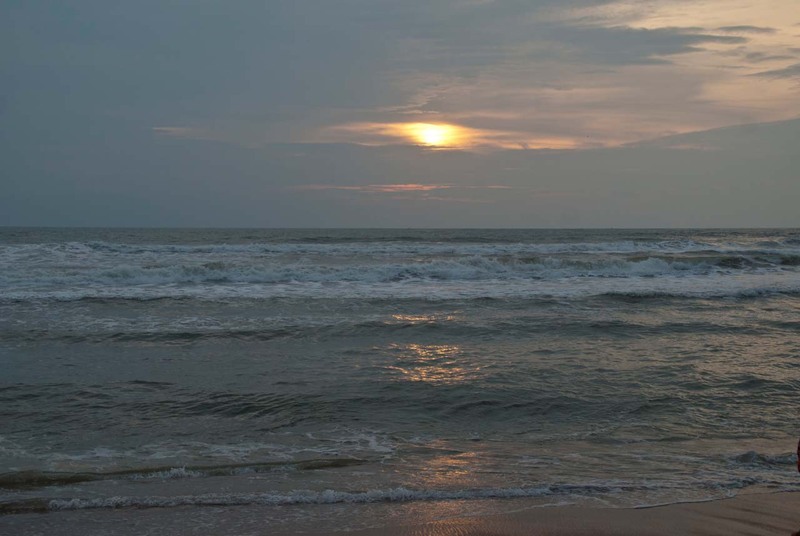 Arambol’s has a long beach and it is divided into two areas, it is rocky and sandy in parts. There is a headland close to the beach and from here you can view the surrounding areas from the height. The sea at Arambol beach is perfect for swimming. There is a small freshwater lake at the end of the beach and there are some restaurants around it. It is a good place to relax away from the hustle-bustle of busy beaches of Goa. There no big hotels in Arambol area, only a few small guest houses or huts by the beach. Spend the day hopping around on the beaches or just relaxing on one beach choice is yours. Spending time on the beach is the most relaxing thing to do in Goa or any other beach town. Come back to Calangute/Baga/Candolim. There are 3 options to spend the evening. If you still wanted to party then go to Copa Cabana disco for dance and party. Or go to a shack on the beach and spend a lazy evening listening to music & sound of waves with good food. Or if you are feeling too lazy then relax in a hotel by the pool. If you are doing a 5 days trip then it’s your last day in Goa. If you are still interested in some more history then go to Fort Aguada that is very close to Candolim beach. The Goan forts are much smaller in comparison to other Indian forts but they have immense historic importance and allowed us a peep into the bygone era. These forts are located at a strategic location near seashore or at river mouths. The views from these forts are stunning and I always felt nostalgic thinking about the effort that went into constructing these. These forts provided accessibility and safety to the Portuguese. 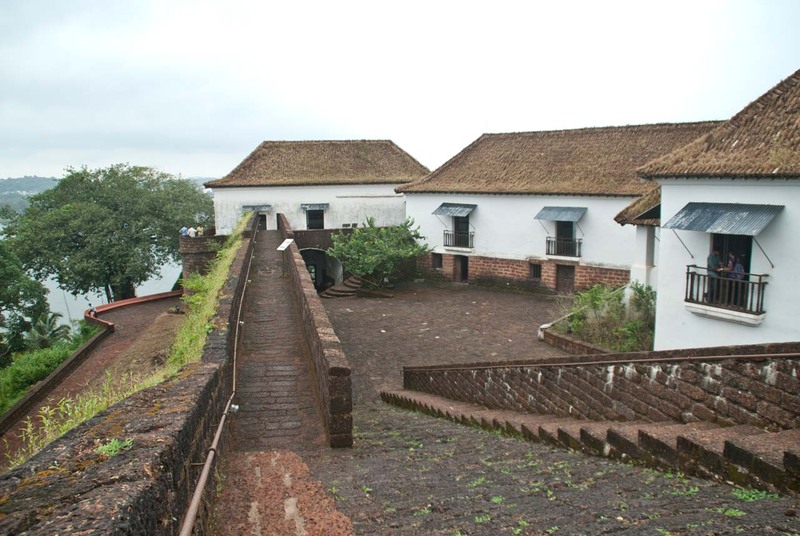 There are lighthouse and jail also on the premise of Fort Aguada. 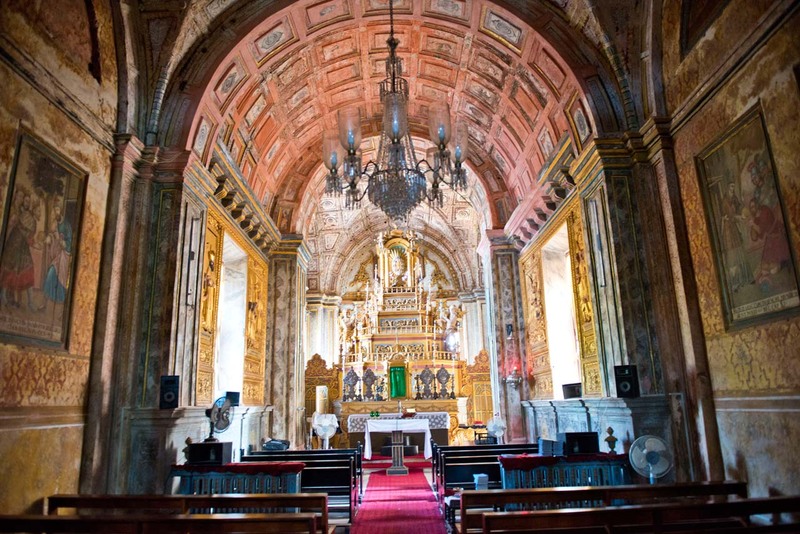 Next, go to the Church of Mae de Deus in Saligao or Mother of God Church. It was built in 1873 amidst picturesque surroundings of the Goan countryside. Its Gothic spires and pristine white walls remind me of a fairytale castle. If you are doing a 5 days trips then have another swim in the sea before saying goodbye to the Goa. In case if you are spending a week in Goa then you can do followings. Go to Dudhsagar waterfalls in morning. It is India’s second highest waterfall and water falling here looks white like milk. Hence the name Dudh(Milk) Sagar(Sea). You can trek to the base or bridge near the waterfall. If feeling lazy and don’t want to walk then go by a jeep to the base of the waterfall. In monsoon months jeep service stops and at that time you can go by bike as a pillion rider. For me, the trip to Dudhsagar Waterfalls was a never before experience as we went near the end of monsoon season. Read My experience of visiting Dudhsagar waterfall. If doing a 7-day trip to Goa then stay for 3 days in Panaji area instead of 2 days. Start the day by visiting Manguesh Temple. This temple dates back to 1560 when Goa fell to the invading Portuguese. The temple has been rebuilt and renovated twice during the reign of the Marathas. The final renovation was done in 1973 when a golden Kalasha was fitted atop the tallest dome of the temple. The main temple is dedicated to Bhagavan Manguesh, an incarnation of Shiva. Also, visit the Shanta Durga Temple. This temple is dedicated to Shantadurga, the goddess who mediated between Vishnu and Shiva. This temple was built in 1738 and then renovated in 1966. The temple has a huge water tank, a Deepastambha and a guesthouse for visitors. It is fascinating to see the temples in Goa, which have a local flavor in their architectural style especially the ‘Deepa Stambha’ that is said to be a Maratha influence. The lighting of the same with hundreds of lamps during the festivals is truly spectacular. There is even some Muslim and Portuguese influence in the temple’s architect. After temple trip, visit a spice garden. There are few spice gardens on Ponda-Belgaum Road in Curti. These spice gardens are a great place to spend a lazy afternoon in the middle of a spice plantation. These spice gardens give a guided tour of the plantation and after the tour, you can have a hearty organic Goan style meal on a banana leaf. Read My experience visiting spice gardens of Goa. After visiting spice garden you will still have lots of time left. Visit Colva beach in south Goa. 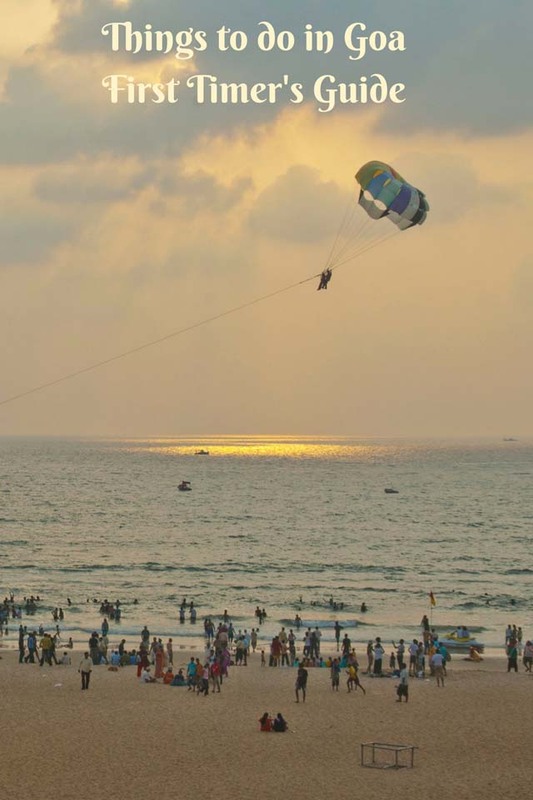 Keep in mind that after spending time in North Goa, you may find Colva beach dull. 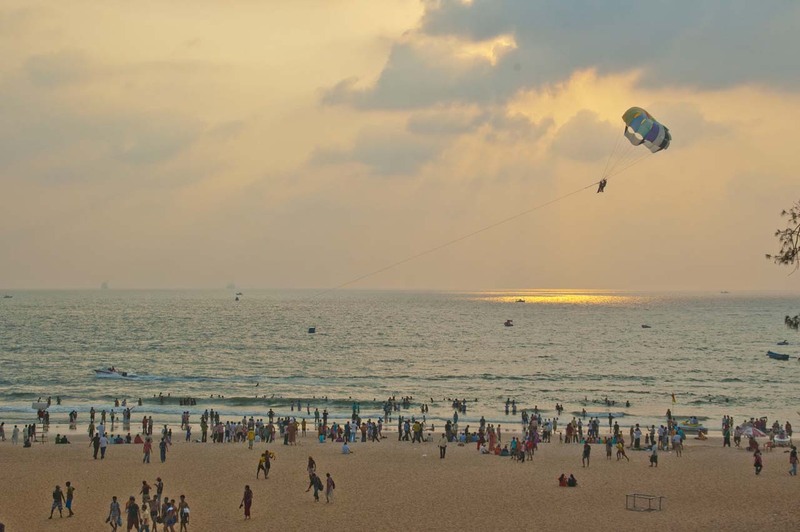 The main attraction of Colva beach is watersports. Here you can do parasailing, Jetskiing, Banana tube boat ride, and boat ride in the sea. * Try and avoid the high season from December to mid-February. Hotels are expensive and beaches are crowded. ** Avoid the low season from May to August because most of the shacks and water sports remain closed. * Rent a bike, scooter or car because it is the most economical way of transport. A scooter will cost 250 to 300 INR and a car will cost 1000 to 1200 INR per day. You can fuel it according to your requirement. ** Stay closer to the beach because you like to spend your mornings and evenings on the beach. * Fresh seafood dishes are available in all restaurants of Goa. ** Check with restaurants about the spiciness and chilies in Goan dishes because some of the dishes are very spicy. * Do not forget to pack up flip-flops, sunscreen, hat, sunglasses, T-shirts, shorts and beachwear. ** Don’t stay near crowded beaches of Calangute and Baga, explore other beaches. * Don’t venture into the sea, if there is a red flag on the beach. Follow the instruction and use common sense to remain safe. ** Check my post to about some of the offbeat places in Goa to experience the local culture and feel. Wow Goa sound great. I had no idea there are so many cool things to do. Thanks for sharing! These pphotos are amazing! I really want to go! Goa looks so gorgeous! It is one of the places that comes to mind when I think of visiting India! Goa is gorgeous and most of the people visiting India spend some time here. Loved Goa so much! This really took me back to the month I spent there.